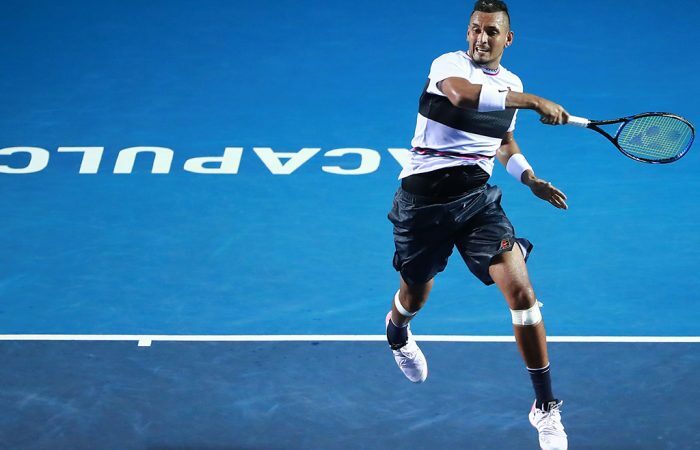 Less than 24 hours after beating Rafael Nadal, Nick Kyrgios scores another big win - this time over Stan Wawrinka - to reach the ATP Acapulco semifinals. Nick Kyrgios has beaten Stan Wawrinka in three tough sets to reach the semifinals of the Mexican Open in Acapulco. A night after stunning No.1 seed Rafael Nadal in a second-round thriller, Kyrgios won 7-5 6-7(3) 6-4 against the three-time Grand Slam champion from Switzerland. “I love coming back to Acapulco. I’ve had some great memories here. I think the conditions here – just the hotel, the kind of lifestyle this week – are amazing,” Kyrgios told Tennis Channel. 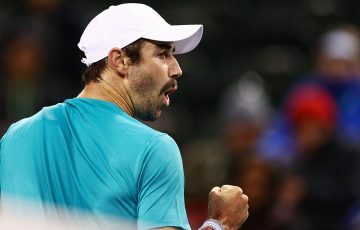 “To come out there against Rafa yesterday and pull together that three-hour performance after getting some food poisoning was massive, and to back it up against Stan — I was cramping like crazy towards the end of the third set. Kyrgios’ next opponent is third seed John Isner, who got past fellow Australian John Millman. In a match finishing at 2.30am local time, Isner pipped the Queenslander 7-6(2) 6-7(4) 7-6(4). Millman scored an early break and earned two set points at 40-15 when serving for the first set at 5-3, but was unable to convert, eventually going down in three hours and five minutes. 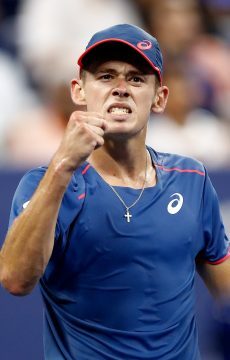 Earlier, another Aussie, Alex de Minaur, lost 6-4 6-4 to German world No.3 Alexander Zverev. De Minaur toiled hard yet slipped to 0-4 against Zverev, having lost their past three meetings in straight sets. He is, however, expected to rise to a career-high ranking of No.23 next week. Kyrgios, meanwhile, improved his head-to-head record against Wawrinka to 3-3 and is projected to rise from his current ranking of No.72 to No.50 come Monday. 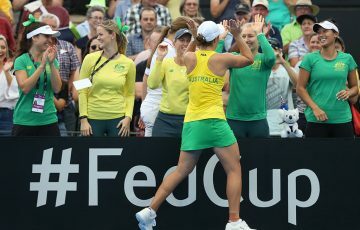 Kyrgios scored a crucial break in the fifth game of the final set and held in the next game for a 4-2 lead, despite increasingly suffering from cramp in his upper leg. He held two match points in the ninth game before Wawrinka escaped to hold for 4-5. Yet Kyrgios served out the match comfortably in the following game, ending the contest in two hours and 31 minutes. “I feel good,” Kyrgios said. 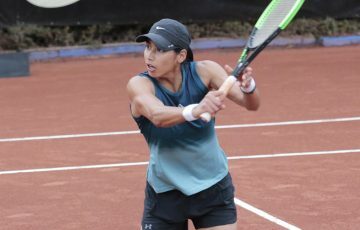 “Before this tournament I wasn’t playing very good, I was struggling with injuries. 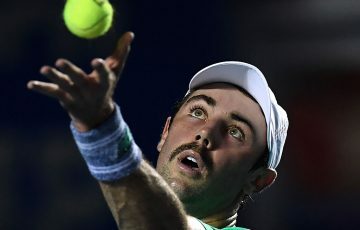 The 23-year-old has now spent a collective five hours and 34 minutes on court in the past two evenings in Acapulco. Kyrgios came close to finishing the match in the second set. 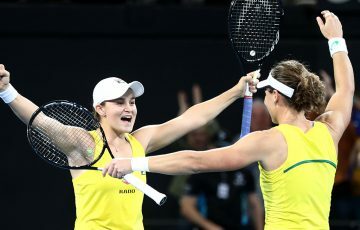 Having dropped serve in the ninth game, the Australian rebounded with an immediate break back to level at 5-5 before pounding a succession of winners in the following game. 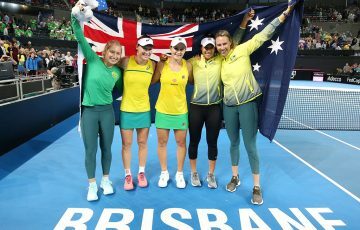 With the momentum behind him, Kyrgios arrived at 30-30 in the 12th game – two points from victory – and went ahead 2-0 in the tiebreak that followed before Wawrinka unfurled some magnificent groundstrokes to wrest back control of the match. Yet despite finishing the match with more winners, less unforced errors and more than double the number of aces, Wawrinka still found himself exiting the tournament.